Look, I totally get it. The big shiny object in the sky is Apple. Anything they do is “interesting” (Disclaimer: I give every other paycheck to Steve Jobs for his new shiny objects). I saw this news this morning about TomTom being in Apple’s Legal Doc (The amount of GNP devoted to reading Apple’s tea leaves has to be bigger than most eastern european countries) and let out a big meh. Clearly as location becomes more integrated in smartphone workflows, companies will start adding additional data sources for their customers to use. Since Apple uses Google Maps as the default mapping app on the iOS, we probably won’t see any changes to that for quite some time (if ever). TomTom/TeleAtlas data is used by many companies for many things so the possibilities that Apple would use their data isn’t that far fetched (I’m actually surprised that it wasn’t in there before, it is hard not to use TomTom or NAVTEQ these days). Adena did a great job highlighting the companies that are now (or have been) part of Apple’s legal description. Let’s see… We’ve got parcel data, we’ve got neighborhood data, we’ve got routing data and we’ve traffic data. If I didn’t know any better, I’d be guessing Apple is trying to build a smartphone (Side note, I’m very happy for Waze and Urban Mapping here. Great job guys!). The OpenStreetMap whining is already started with folks wondering why Apple didn’t use their data. Clearly Apple is picking and choosing what they need here. Apple is one of those companies that uses whatever makes best sense for them and their uses. That is why they still use Google Maps, it really is still the best solution out there and they can afford to pay Google the licensing costs. I still believe, as many of you do, it is only a matter of time for Apple to roll their own mapping solution. This is a company that loves to control everything and to think they allow a competitor to have a mapping app on iOS by default has got to hurt them. Of course how many years did Apple include Internet Explorer as the default browser on Mac OS X before rolling Safari. Yea, only a matter of time. 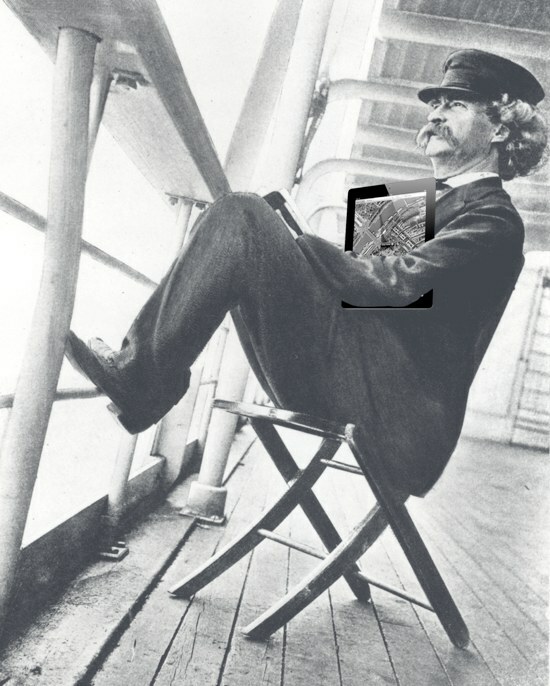 Many don’t remember, but Mark Twain was a big user of iOS mapping applications and thus a user of mapping data.